In time, inventors began to experiment by adding various kinds of decorative wax catchers to their Christmas tree candle holders. 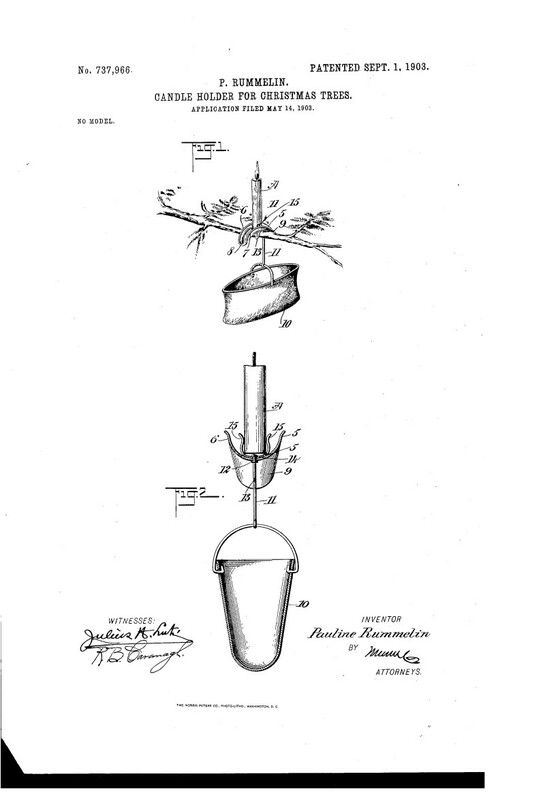 This 1913 patent features a sophisticated hanging Christmas tree candle with a deeply fluted wax catcher and a star weight. 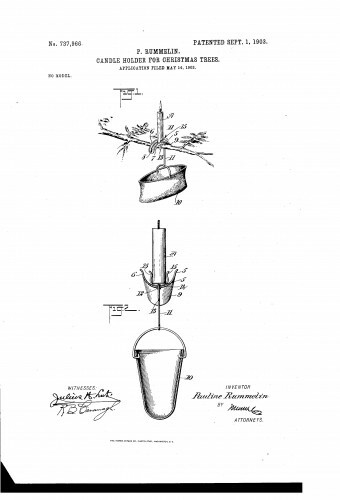 From our collection of Christmas Tree Candle Holder Patents. Credit: www.christmasgiftsfromgermany.com.